Written for computer programming students, hobbyists, and professionals, FUNDAMENTALS OF PYTHON: DATA STRUCTURES is an introduction to object-oriented design and data structures using the popular Python programming language. 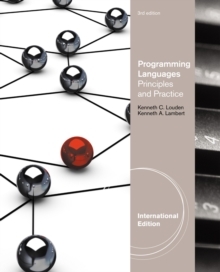 The level of instruction assumes at least one semester of programming in an object-oriented language such as Java, C++, or Python. 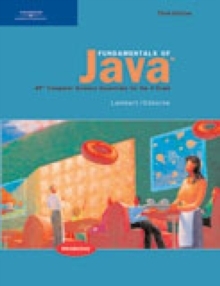 Through the step-by-step instruction and exercises in this book, you'll cover such topics as the design of collection classes with polymorphism and inheritance, multiple implementations of collection interfaces, and the analysis of the space/time tradeoffs of different collection implementations (specifically array-based implementations and link-based implementations). Collections covered include sets, lists, stacks, queues, trees, dictionaries, and graphs. 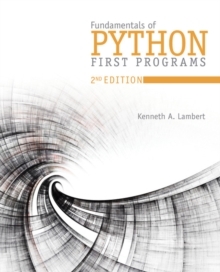 Get ready to dig into Python data structures with FUNDAMENTALS OF PYTHON: DATA STRUCTURES.